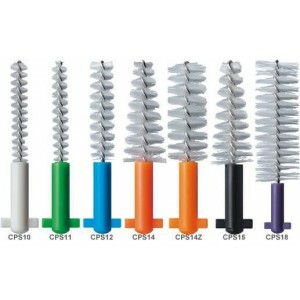 CS1560 Curaprox Sensitive Soft Toothbrush is for people who are more used to a slightly firmer toothbrush, the CS1560 soft is the ideal introduction to the gentleness of CURAPROX. 1,560 CUREN filaments, 0.15mm in diameter. The ultra fine, polyester filaments are firm enough to penetrate deep into the sulcus, fissures and between teeth, providing a gentle yet efficient cleaning action on both teeth and gums. CURAPROX toothbrushes not only prevent brushing damage, but also break up and remove plaque perfectly. CUREN® bristles are stiffer than nylon and remain just as stable in the mouth as when they are dry. These properties make it possible to produce toothbrushes with a large number of ultrafine bristles.